Every structure is an expression of the people and functions that were housed within its walls during the course of its existence. We welcome the opportunity to work with you to realize and build upon the story that your old house tells. Whether you’re a historic homeowner, investor, or member of a non-profit, achieving your rehabilitation and preservation goals can be an overwhelming task. Preservations are often faced with time-consuming and complex challenges: Are there grant or tax credit opportunities to help fund my needs, what do they entail (or obligate me to), and how can I successfully obtain them? How do I research my property’s storied history and better tell compelling tales from its past, or get it listed on the National Register of Historic Places? What is the difference between rehabilitation, restoration, or remodeling, and which does my historic structure require? How do I know which building materials to use to achieve historically sensitive yet progressive designs? Where am I going to find the time or resources to deliver on my preservation goals? Having a trusted partner to help you navigate your options, make educated and effective choices, and execute on any project can be instrumental in ensuring your project’s success. HVP is pleased to offer a full suite of preservation services, designed to help you or your non-profit organization achieve all of your preservation goals, whatever they may be. Thoroughly investigating the materials and stability of your historic building, and any likely causes of deterioration, to provide treatment recommendations with information on relative urgency. This information can then be used to develop strategies that are preventative rather than reactionary, therefore reducing the chances of larger and more expensive issues to arise. Maintaining and reviving the historic character of your building, while allowing new additions to harmonize and complement. Whether your goal is to integrate energy efficient systems or to restore a structure to its period beginnings, we approach all projects with the goal of balancing traditional craft with progressive technology. Employing a deep understanding of structure to develop a plan that will ensure proper placement and physical solidity of your building. Beginning with a thorough investigation of the existing conditions, we are then able to ensure that your buildings remains intact throughout the relocation process by adding reinforcement where necessary. It is not always realistic to keep an old structure on its original foundation, but with an experienced team, it is possible to re-root your building in a way that promotes longevity and physical context alike. Understanding the existing conditions within agricultural structures in order to develop thoughtful rehabilitation strategies that are drawn directly from the original construction methods. Barns are an important part of Northeastern history and evolution, and their utilitarian character makes them adaptable to a range of uses for modern-day living. 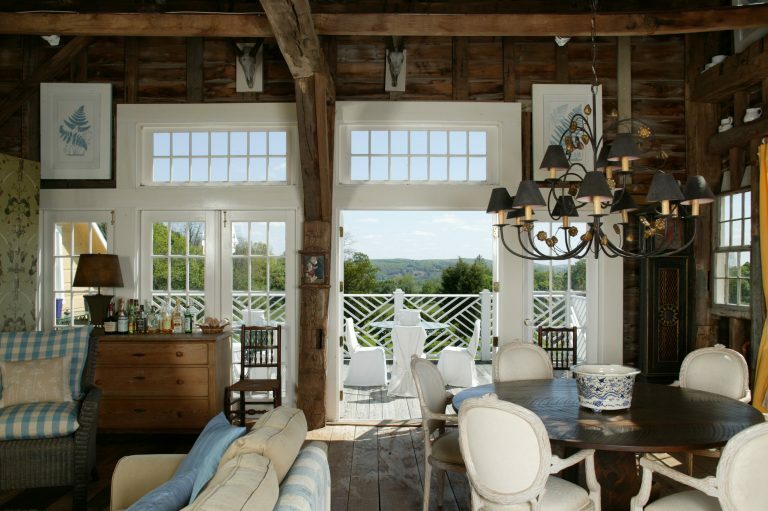 We can help ensure that your old barn is celebrated for decades to come. Conducting research on a historic building, district, or landscape and completing a National Register form for submission to the State Historic Preservation Office for review. Our specialized staff is available to take on each step of this lengthy process, from initial research, extensive architectural writing, and defense at the State level for proposed passage to the National Park Service for subsequent Federal review. State and National Register status does not limit ownership rights to any historic resource. It is instead a formal designation which honors the unique story that each resource embodies, while also positioning property owners in a better place to be eligible for financial assistance through State and Federally-funded programs. Identifying use cases for a structure and analyzing the financial and physical implications of each proposed project to understand what the outcome will likely be. By estimating the cost of materials and labor in combination with the projected time frame, we are able to better ensure that the project remains within your budget while staying true to your vision. Assisting investors with making their creative vision a reality by evaluating rehabilitation projects and developing a scope of work, while coordinating with the relevant State and Federal agencies. We approach rehabilitation projects with an innovative mindset while necessarily adhering to the Secretary of the Interior’s Standards for Rehabilitation. For any building that will be at least 50% income-producing and is on the National Register of Historic Places, this is a great way to give an old structure new life while securing the financial assistance to do so. Analyzing every structural component within a building to outline a plan for addressing weakness and deterioration. We adhere to the Secretary of the Interior’s Standards with all of our historic rehabilitation projects, therefore only replacing historic fabric when necessary, and doing so with in-kind materials whenever possible. In this way, the strength of your old building is restored without compromising its unique character. Coordinating all steps of the grant application process to bring you closer to achieving your financial goals for a given project. The process of obtaining funding can be tedious and time-consuming, and the initial navigation of which grants to apply for and whether or not your organization even qualifies is often overwhelming. We welcome the challenge of working as your trusted partner throughout each step to ensure that deadlines are met, and intentions are logically outlined. Composing a thorough narrative that describes the factual story of your house and those who have occupied it. People and their domestic environments are deeply linked, and understanding the evolution of a space has the potential to provide useful information about its current physical conditions. After conducting methodical research, we use the resulting facts, conversations, and photographs to craft a report that may serve as a tool for builders and homeowners.